Tour guiding since 2003. Organizing and carrying out of the auto tours. Great experience of long expeditions with archeologists, geologists and entomologists to the hardest places to visit in Kazakhstan. Tour guiding since 2013. Great driving experience in the difficult routs and in the hardly reachable places to visit. A talented mechanic and a rally racings participant. Tour guiding since 2004. 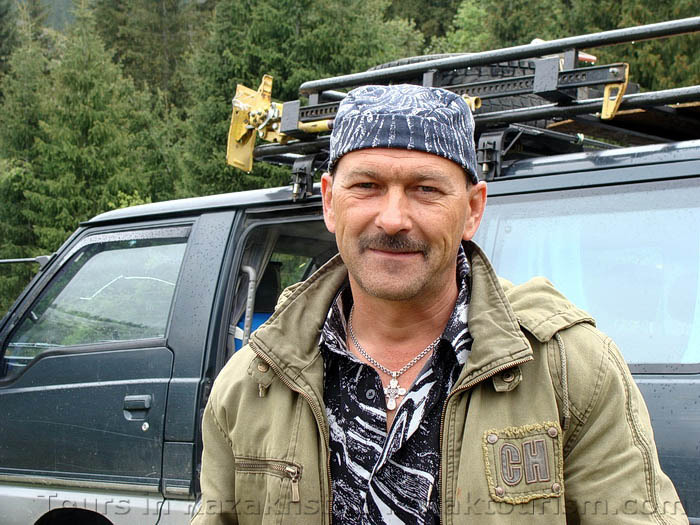 Great experience of long expeditions in Kazakhstan, Uzbekistan, Tajikistan and Kirgizstan. 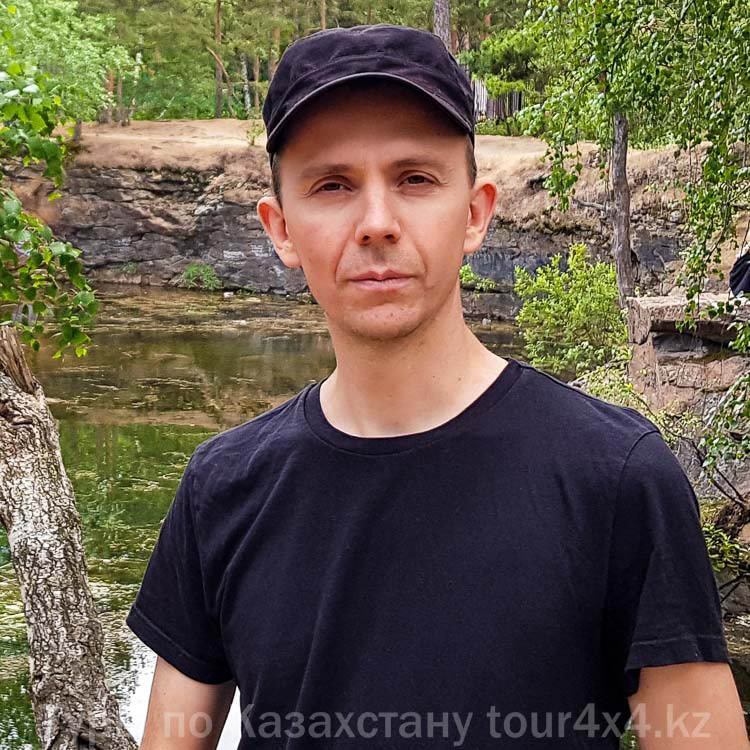 Yevgeniy Kuznetsov 1985 – tour guide. Tour guiding since 2006. An experienced traveler. Investigation and working out of the new routes. Informational and technical support. 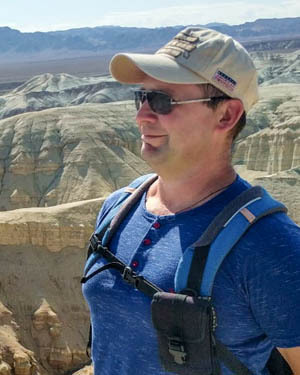 We have a great experience in the travel industry in Kazakhstan, so we organize our tours professionally; the members of our team are sociable, helpful, not annoying and paying attention to our customers’ needs. Our principle is to do more work than it was paid. The individual auto tours are offered as the best and the most comfortable way of touristic travelling. You place your order directly with us and pay directly to the tour organizers, so there is no need to pay for the services of an intermediate agency. We are committed to making sure your travel vacation is the best it can be even when the most complicated travel itineraries are chosen. Our vehicles and our tour equipment are always in a good condition both technically and aesthetically. Our field camps are equipped in the best way. There is everything you need: tents, sleeping bags, insulating pads, kitchen equipment, tables, chairs, some lightning equipment and shower units. When you purchase an "all inclusive” tour it means three professionals will work for you in one person. Your driver is your guide and your cook at the same time. All our guides speak English fluently and this makes the work with our English-speaking customers easier. The driver guides can always find a solution for some unusual situations thanks to their many years’ experience. We are partner the Dutch travel agency "Kazakhstan Reizen”. Kind regards, Guides team: Sergey K., Zhenya K., Dmitriy K., Sergey L.